Once upon a time, a girl named Mallow grew very tired indeed of her little country house, where she grew the same enormous luckfigs and love-plantains every summer, slept on the same talking bed, and studied the same tame and amiable magic. Her friends would visit her from time to time, for she lived on the shores of a whiskey lake where trifle-trees hung heavy with raisin and soursop tarts, but they had their own quite thrilling lives, and Mallow did not insist that they stay just to make her happy. 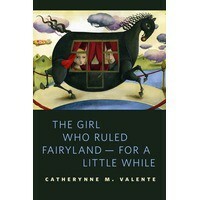 This fairy-taleish beginning to The Girl Who Ruled Fairyland - For a Little While is typical of Catherynne Valente's prose: exploding with imagination in every word, and subtle jokes and wisdom in every sentence. It is also deceptively charming, as is the story of Mallow traveling to a Foul at Pandemonium, the capital city of Fairyland, as ordered by the King. Along the way, she meets a charming fairy fellow named Mabry Muscat, by whom she is absolutely, positively not going to be charmed. The endless reeling affairs of Fairies exhausted her. But all the many social circles of Fairyland held in agreement that if one brings up the subject of one’s love, the other party is obligated to ask after it and listen to whatever ballad might follow. To do otherwise would be just terrible manners. But in the nature of all true and great fairy tales, it becomes serious and dark, though never less magical. This free online short story is a prequel to The Girl Who Circumnavigated Fairyland in a Ship of Her Own Making, which as you know I consider one of the best MG/YA books ever! 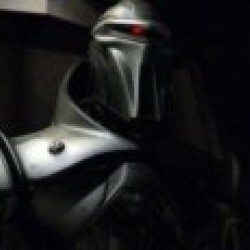 Is TGWRFFALW quite as good as TGWCFIASOHOM? Maybe not quite as good, because it's shorter and thus doesn't have the opportunity to cram as many brilliant, clever ideas and wonderful sentences into its length as a full-length novel. But it's still absolutely wonderful if sad. You should read the book first, because otherwise you might not enjoy the short story quite so much, not recognizing all the characters. But I think the story will still seduce you with Valente's word-smithing. Although the Fairyland books are technically children's books, they're absolutely sophisticated enough for adults, and so is this story. The love and loss probably won't be fully appreciated by children, though they can certainly appreciate the cats who are winds and the fairies with mittens on their wings and the wyvern who is engaged to a Library. Go click the link and read this story. It's how Good Queen Mallow came to rule Fairyland... for a little while.